“Seemingly overnight, Charlie Sheen has become an ubiquitous pop culture reference: how many mentions of “WINNING,” “tiger blood” and “goddesses” have you heard today? Remarkably, Sheen set a Guinness World Record for Fastest Time to Reach 1 Million Followers (just over 25 hours) after joining Twitter. Meanwhile, YouTube parodies and pages like Live the Sheen Dream and Charlie Sheen Quotes as New Yorker Cartoons quickly went viral. 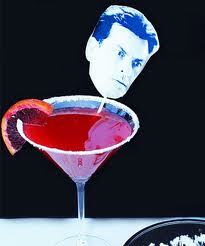 To no one’s surprise, bartenders are finding plenty of inspiration from Sheen as well.